The Microenterprise Access to Banking Services (MABS) program is an initiative designed to accelerate national economic transformation by encouraging the Philippine rural banking industry to significantly expand the microentreprise access to microfinance services. The program targets the lower socio-economic groups and micro entrepreneurs, who have limited access to financial services, by working with rural banks to reach such groups in a profitable, but equitable, manner. Trained banks offer microfinance loans (e.g., microenterprise, microagriculture, microhousing), deposit, and micro insurance services specially tailored to microentreprise clients. 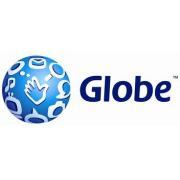 In addition to the said products and services, the MABS Program and its participating/partner rural banks offer mobile phone banking services which offer significant advantages to the banks and their clients in terms of reduced costs, security, convenience in accessing financial services, and opportunities to expand their business. Powered by the belief that a better world is possible, Mercy Corps is a leading global organization working to empower people to survive through crisis, build better lives and transform their communities for good. The organization has nearly 5,000 team members reaching nearly 22 million people and a total operating revenue in FY2017 of $436.6 million; 87% of revenue is channeled directly into programs in more than 40 countries. Mercy Corp implements a wide breadth of interventions and programs including emergency response and those that focus on food insecurity, cultivating resilience and empowering vulnerable youth and adolescence in locations across the world. Since 1979, they have helped people grappling with the toughest hardships survive — and then thrive. That’s the heart of the approach: They help communities turn crisis into opportunity. Throughout the history, Mercy Corps has demonstrated innovation, timeliness and the ability to adapt quickly to changing realities. The mission of the Rural Bankers Association is to support the ability of its members to offer quality banking services to all their constituencies, comply with regulatory requirements, and to promote the welfare of the communities in which they operate. 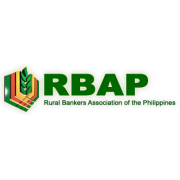 The Rural Bankers Association of the Philippines (RBAP) will position its membership as the leading force within the Philippine national banking system in bringing the benefits of the economic system to increasing numbers of rural customers through a strong, responsive rural banking system. It will set standards for innovation and excellence in rural banking that are recognized around the world, and it will operate as an important partner to government in the development and implementation of policies and legislation that support rural economic development through the delivery of effective and appropriate banking services.